In what prominent members of the crypto community are suspecting to be an “inside job,” South Korean cryptocurrency exchange Bithumb was hacked for roughly USD $13 million in EOS and $6.2 million in XRP on Friday, March 29th, 2019. In a statement posted on the exchange’s website on Saturday, March 30th, Bithumb, a top three South Korean cryptocurrency exchange by volume, confirmed the occurrence of an “abnormal withdrawal” of EOS the previous day. Unfortunately, this isn’t the first time that the South Korean crypto giant has fallen prey to malicious attackers, having suffered a $30 million dollar attack roughly one year ago. 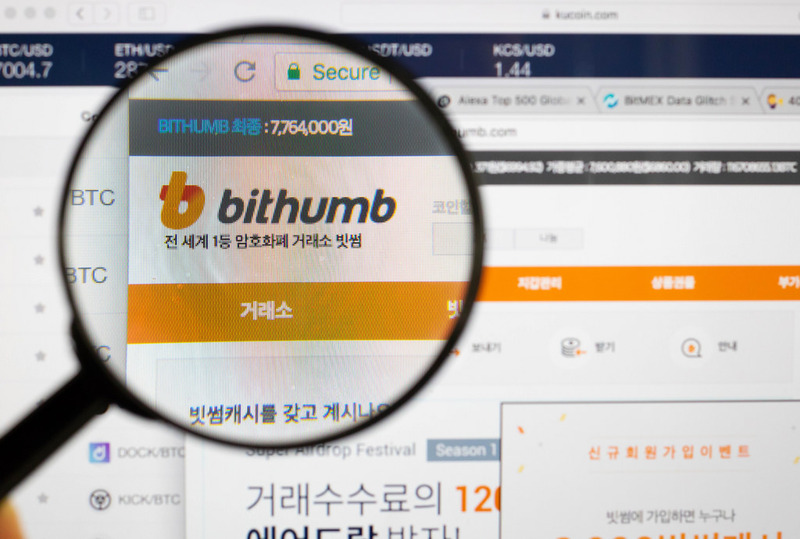 Bithumb acknowledged the potential that the hack was orchestrated by an insider, due to the fact that no actual evidence of an external exploit was presence. Furthermore, they’ve also notified government agencies about the recent hack and are in the midst of conducting an internal investigation. A report by CoinDesk Korea cites the total amount hacked to be over 3.07 million EOS, or roughly USD $13 million, while the suspected XRP amount is estimated to exceed 20 million XRP, or $6.2 million. At time of publish, EOS is trading at $4.20 or 101,649 Satoshis, while XRP is trading at $0.311 or 7544 Satoshis. 2019 has started off rough for crypto exchanges and their users, as we’ve seen the likes of New Zealand-based exchange Cryptopia suffer a series of malicious hacks, and Canadian exchange QuadrigaCX bring about one of the most bizarre “whodunit” mysteries we’ve ever seen in all of blockchain. Both hacks have put users out of a combined USD $200 million in funds. At BlockchainSEO, we’d like to remind users of one of the most common sense concepts in all of crypto, “Not your keys, not your crypto.” Once you’ve accumulated an amount of crypto on an exchange you’re not comfortable losing, it’s important you start to consider moving it to cold storage. Make sure to follow our blockchain blog for all the latest crypto updates, news, and informative articles. And head on over to our Medium page and Twitter for further resources! We’d love to hear from you in the comments about any topics you’d like covered this year.